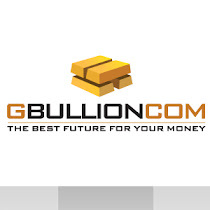 Market insiders are split over the direction of the price of gold for this week, according to a Kitco News Gold Survey published on Friday, 25 January 2013. Of the survey's 33 participants, eight expect prices to rise, 12 expect a drop, and five expect to see movement sideways, with eight participants providing no response. Participants who expected weaker prices cited gold's failure to break the $1,700 an ounce threshold. Also acknowledged was the increased strength in the stock market, as the Standard & Poor's 500 broke the 1,500 level for the first time in five years, which has drawn short-term investors away from gold. Reasonable economic news from the eurozone and the U.S., where the debt-ceiling debate was deferred, also triggered selling in gold. Those bullish on gold said the underlying fundamentals that have supported gold, such as expansionary monetary policy and continued uncertainty in the global economy, have not changed, which has helped to push gold's value upward. Additionally, respondents said central banks are continuing to add to their reserves, as one Russian central bank chief was quoted in media reports last week saying that the bank will continue buying gold in its attempt to diversify away from foreign reserves and paper assets. The majority of respondents who see sideways movement said the market is in a range, with the ceiling at $1,700 and the floor in the mid to low-$1,600, and with no visible pressures on either side, gold is likely to remain in this range. Market participants said they believe there to be support for the metal at the $1,650 and $1,620 range should its price drop.